HulloMail, Thumbtel’s flagship app, is now available in Australia. Never call your voicemail again. HulloMail shows all of your missed calls and messages in one handy app. 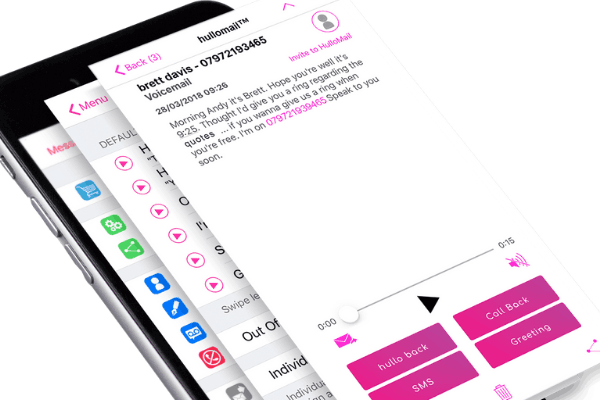 It automatically transcribes each voicemail so you can read them, reply, call back or even delete them. There’s nothing more frustrating than dialling your voicemail, waiting through several options and then hearing an unwanted or nuisance caller. HulloMail takes care of this for you too; you can even block callers from leaving you messages in future. Give it a try today, your first month is free!